6.0 miles NE of Wells: From Wells, proceed N. on Rt. 30 for 3.5 miles. Turn right onto Rt. 8 and drive northeast for roughly 2.5 miles. Turn left onto a seasonal road (opposite a pull-off on the R. side of the road) and drive 0.2 miles, crossing the East Branch of the Sacandaga River. Park just past the bridge in the clearing. Follow the path paralleling the west side of the river, going downstream to reach the falls. 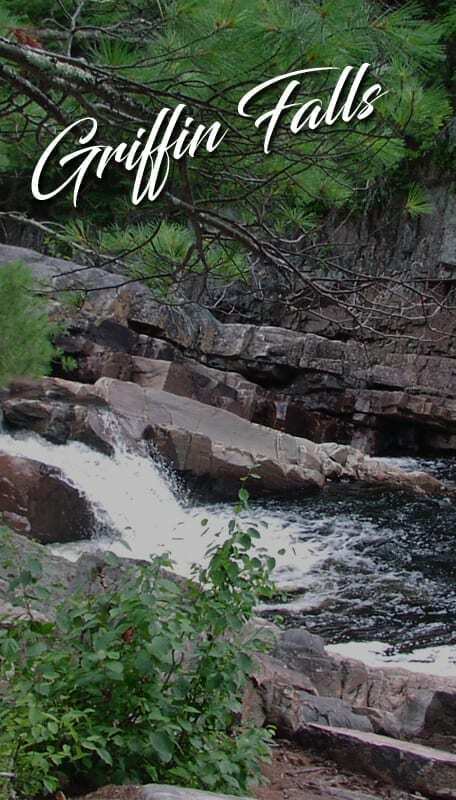 The falls area consists of several drops, large blocks, many potholes, and an 8 foot cascading waterfalls on the East Branch of the Sacandaga River. A small swimming hole sits at the base of the falls.